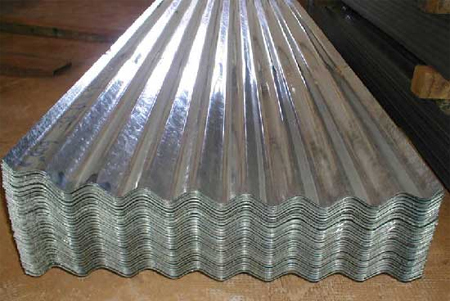 Corrugated sheet metal is an inexpensive and lightweight material that can be used for roofing, cladding or a range of decorative applications. You can buy small quantities of corrugated sheet metal at your local Builders Warehouse, or get directly in touch with a supplier for larger quantities. 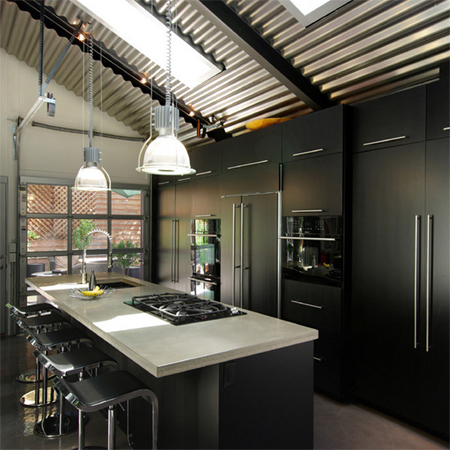 In this article we look at how to work with and install corrugated sheet metal. We know that corrugated sheet metal is strong and durable and a popular choice for cladding a roof and, when applied properly with a waterproofing layer and thermal insulation, a corrugated sheet metal roof is attractive and practical for many roofing applications. Before installing a DIY corrugated sheet metal roof make sure you know the pitfalls of this type of installation and research the topic before you start. The basic installation procedure involves fitting metal sheets, which overlap each other, over a wooden frame. To calculate how many corrugated metal sheets you'll need simply measure the length of your roof, divide this by the width of the sheet you will be using, and this will tell you how many sheets are required for this section. Double the quantity depending upon the slope of the roof and any additional extensions. Ridge caps and flashing will prevent water leakage from both the sides and the top of the roof that is exposed to the air and elements. The video below is a comprehensive and detailed step-by-step look at working with corrugated sheet metal, as well as proper installation for a roofing application.